Location: Facing the open ground at the entrance to the Castle, and forming a terrace with Nos 21-23. The two houses were probably built or remodelled as a pair in the early C19, possibly incorporating earlier buildings, as they appear to be at least in part a continuous build with Nos 21-23. 2-pane sash window to left of doorway, and a long 3-light window to the right, relating to its previous use as a shop. 3 narrow 4-pane sashes above, aligned with the 3 lower openings. A pair of modest vernacular town houses which forms part of a group of older buildings close to Criccieth Castle. Facing the open ground at the entrance to the Castle, and forming a terrace with Nos 21-23. Facing the open ground at the entrance to the Castle, and forming a terrace with No 21 and Nos 25-27. Facing the open ground at the entrance to the castle, and forming a terrace with Nos 23-27. Immediately SW of Ty Mawr. 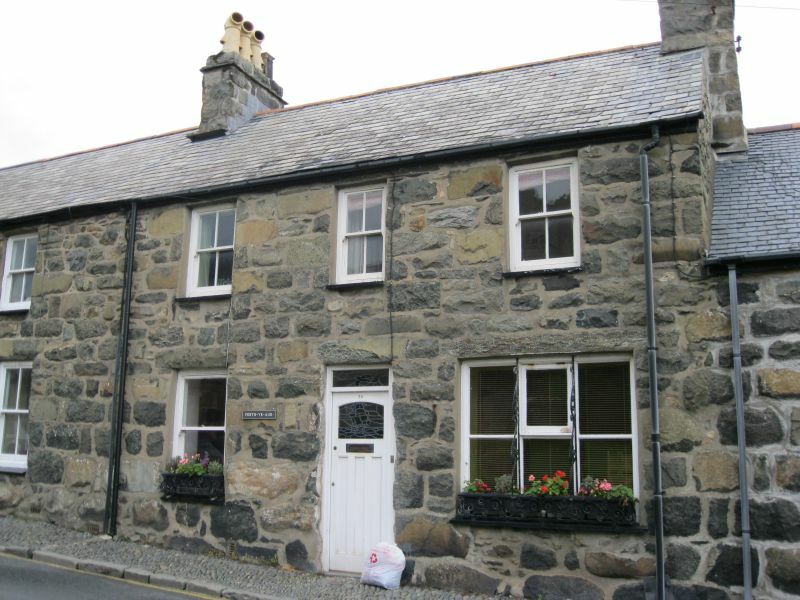 In a continuously built-up terrace, opposite and above the junction with Tanygrisiau Terrace.